ICIM-5: Morphologenkongress 2020 - Deutsche Zoologische Gesellschaft e.V. 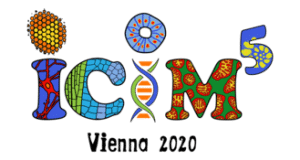 Following its predecessors in Moscow (2017), Berlin (2014), Harvard (2011), and Copenhagen (2008), the 5th International Congress on Invertebrate Morphology (ICIM-5) is hosted by the University of Vienna during the first week of August, 2020. 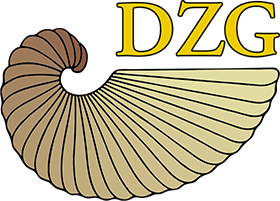 The congress is organized on behalf of the International Society for Invertebrate Morphology (ISIM) by the Department of Integrative Zoology (Faculty of Life Sciences), headed by Andreas Wanninger. The overarching theme of ICIM-5 is the evolution of the exceptional diversity of forms and structures found in extant and extinct invertebrate animals. Special topics of the congress include evolutionary and developmental zoology, phylogenetics, paleontology, neurobiology, genomics, functional morphology, as well as methodological innovations in microscopy and imaging. We are proud that we were able to recruit an exquisite selection of renowned experts on these topics as invited speakers. For the first time in the history of ICIM, we dedicate a discussion forum to a current hot topic in biological research: the evolution of multicellularity. The goal of this session is to discuss our current understanding as to how metazoans evolved from a unicellular ancestor based on three invited talks that will tackle this issue using different approaches. The Vienna meeting will continue the successful tradition of the past ICIM congresses and we invite everyone with an interest in invertebrate animals to come to Vienna and to present and discuss their work. After all, it is the diversity of participants practicing intellectual exchange that fosters scientific progress. We, the organizers, wholeheartedly welcome you to Vienna.